Changing the domain name of your blog can be painful. I did it twice in two years on the same blog, and would not wish the headache on my very worst enemy. There are a million moving parts and if you overlook one, you could be in big trouble. What I’ve learned is that there are options … it doesn’t have to be all or nothing, and you can do yourself a huge favor if you explore the options before diving in. Here are three of the options I considered when I decided that my blog needed a new domain. This option involves exporting all of your content from your existing domain, importing it to your new domain and then setting up URL redirection to move all incoming traffic over to your new blog. Sounds simple, right? It’s not; that’s a grossly oversimplified explanation of what has to happen. It’s much more intense than that. 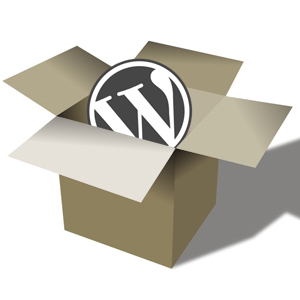 I went this route for my first migration, mainly because I was also moving from Typepad to WordPress. It’s a bit easier to stay within the same blog platform, but moving the entire blog from any platform to any platform requires that you take a number of very specific steps. My advice is to first backup your database. Then, do your research and read through all of the tutorials you can find. While there are a number of good resources out there, many have different steps, and you’ll want to know everything there is to know before you start. And lastly, don’t start the migration unless you have a solid block of time (I’d shoot for at least two hours) to troubleshoot and fine-tune after the move, unless you don’t care if things are broken. This option takes just a handful of your posts and content and requires a somewhat manual move to your new domain. This is what I did for my second blog move, just last week. This is an option if you don’t have thousands of posts you want to move over, you are taking a somewhat new approach on your new blog, and/or you intend to keep your old blog up, at least for a little while. My goal last week was to bring over the best posts, then set up the old blog to quietly exist and gently move traffic to the new blog. I started by following some of the same process described above to export posts and comments from my old blog, and then imported them into my new blog. I uploaded all post images manually. I used a post-specific redirection plugin on my old blog to redirect traffic to the new blog post (Quick Page/Post Redirect Plugin). I changed my Feedburner source to the new blog (and the updated any reference to the feed on the old blog to point to the new blog). I added a “We Moved” notification on the old blog, directing visitors to the new blog. I removed comment functionality from the old blog. It’s not a perfect solution; you will probably lose some readership. But it can be a good option for some. If you haven’t been blogging for that long, don’t get a lot of traffic on your blog, are changing the overall topic of your blog, and/or it’s really not worth the hassle of moving your blog to a new domain, just start over. You can take some of the steps in the piecemeal option above to capture some of your existing traffic, but it might make more sense to have a fresh start. Sometimes, the easiest option really is the best option. Have you ever changed the domain of your blog? What process did you take? Do you wish you did it differently?